Someone posed the thought of surrendering to this new normal of mine. A state that includes no walking, occasional confusion, memory lapses, weakness, and infinite fatigue. It seems like a lot, but quite frankly, I thought I had already done this. To me this falls into the realm of acceptance, adaption, and accommodating. All things I have already checked off my “to do” list. Okay, I have my moments. I do recognize I’m a work in progress. I now realize that last month according to my post, I risked putting myself in harm’s way for the sake of doing it on my own. But surrendering to this state takes things to a different level. I confess I do carry a rather large chip on my shoulder. Eveybody can’t see it, but it’s definitely there. It’s mostly in my mind set. I guess it would be freeing to let go of that. Like dropping dead weight. 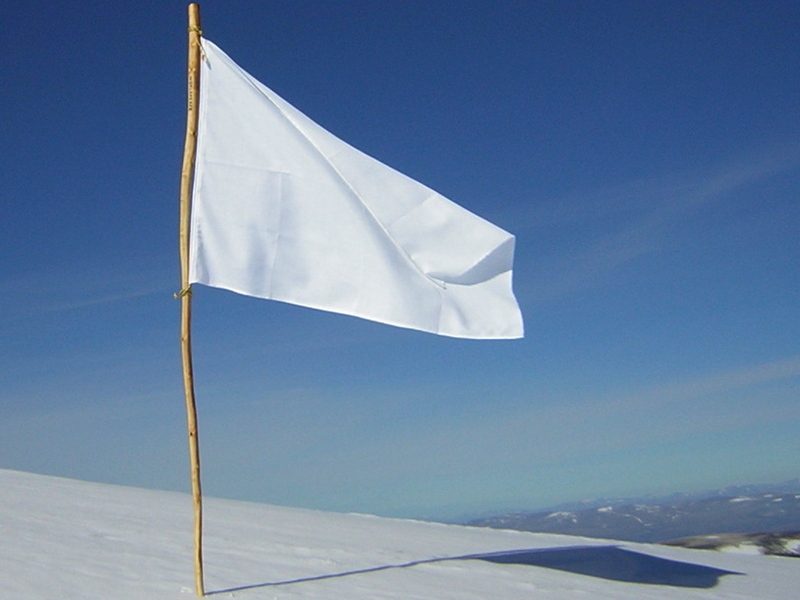 For me surrendering is not being stagnate. It doesn’t mean I would stop taking my medicine or therapy. It does mean that I accept what is. Accept that right now I can’t do all the things I use to do. I wouldn’t fight it so much, instead I would accomplish things within my limitations. The goal is to focus on what’s happening at the moment. Living in the moment. For example, I still try to use my walker around the house from time to time. But I can’t. I can’t do it. I’ll attempt a step with the walker, and go nowhere or maybe find myself on the floor! The thing about MS is that tomorrow, I may be able to do it. But at this moment I cannot. That’s what I call surrendering to what is. I just have to remember to keep doing it over and over again! I found your blog through fb. Just wanted to say what a beautiful way to live your life. You have the perfect formula when you say: “That’s what I call surrendering to what is”. Have you heard about A Course in Miracles–it is a book about forgiveness. I don’t have MS, but it has taught me the power you gain when you surrender to life. I have a holistic background and have worked with a few people with MS and have seen improvements. If you ever feel like checking it out, you are more than welcome. Odalis, I think I might be interested. “The Universal Reiki Connection”. Now that was fun, they did most of the work I just gave them years of my notes and talked. Doing that for the Master connection too. They created “the project to keep me busy. They had no idea,its been a wonderful project for all of us. Brought us closer together,and they learned alot about MS . Enjoying life and like someone said to you,I am building a new life on this skeleton of mine….moving forward any way I can. It may take me longer to get there,but I will get there. Cas, What a cool idea! Thanks for stoping by and please come back. I release new posts on Tuesdays. I don’t surrender, but I do give times of rest to boot up and try again. I push myself but know just about when to rest awhile. I think of John Wayne and never surrender but to stop an reload. Very well said. I don’t know about reloading, though! Do you mind if I share some of your wonderfully said insight? I have been battling for years myself and know that sometimes you have to say it just like you did…Somedays I can and somedays I can’t Thank you again. Your welcome and please share! Like they say, I’m still a work in progress. Thanks Nicole for a well expressed article. I have learned. very slowly, to stop trying to do things for myself, when I know darn well if I try, I probably will have to ask for help getting out of the floor. I had to let go of the thought of “giving up”, because that isn’t what I’m doing at all. We somehow learn it is better to learn how to “adapt” to a new way of doing things-or- even-not doing them at all. Sandra, Thanks for stopping by. Yes adaption is everything! I think that must be very hard to do , My BF w/MS (recent rx) is just trying to figure this out too. where the limits are and which ones are permanent and which ones change from day to day.. The book that helped me what Choice Theory by Dr W Glasser . The control thing…one of the biggest loses. Accepting is in stages for me. I was going along fine then bam another change happens. It is hard to remember when I could bike for miles so am truly enjoying your term New normals. I stroll slowly instead of running like a deer of my old normal. I wait for my brain to remember instead of the answer being instantly there. In exchange, time to learn some new meaning of patience and what new normal awaits me next. Boy do I know what exactly what you mean! Geof, Thanks so much for reading and commenting on my little battles with myself. At this point I am usually eagerly awaiting your insightful thoughts… “around it”…that I can do! thank you. I like your blog. It’s one of 2 I read religously. I’ve run into the wall a few times hoping to jump high enough to climb it or at least hard enough to break through. It usually hurts, and I’m no better than my son. When he was 3, I was home for a 3day weekend. Because I was usually up and playing on the computer, if he saw a light on downstairs, he came searching for me. Morning number one: I hear him come down stairs and a very fast pitter patter of feet as he run. Pitter patter pitter patter, BANG! He ran right into the dividing half wall between the kitchen and the family room. Ouch. My son never walks where he could run, and this has been true his entire life. Day two: I hear him come down stairs and a very fast pitter patter of feet as he run. Pitter patter pitter patter, BANG! Sobbing and crying followed. He had run right into the dividing half wall between the kitchen and the family room again. lol. Day three: I hear him come down stairs and a very fast pitter patter of feet as he run. Pitter patter pitter patter…and I caught him. I pointed to the first mark in the wall and then another not 3 inches away. I asked him how many times he thought he would need to run into the wall before it moved out of his way. My version of surrender is giving up on the through the wall and looking for a way around it if only to go and find the rope ladder to throw over the wall. I haven’t yet been able to give up the quest to find new ways to conquer obstacles in life. I don’t relish taking the easy pass, but sometimes it’s worth stepping back and asking ourselves when we expect the wall to move. I know darn well I won’t be able to find the ladder or use it for too much longer, but I can’t help myself. I have to look.